Kim Malcolm talks with University of Washington fisheries science professor Ray Hilborn about whether boycotting chinook salmon will help the recovery of southern resident killer whales. Scientists have taken an unprecedented step to save one of the Salish Sea’s 75 endangered orcas: They tried to feed her in the wild. Bill Radke talks about our anthropomorphizing of the grieving mother orca, Tahlequah, and what it tells us about how humans think about mothering and losing a child. 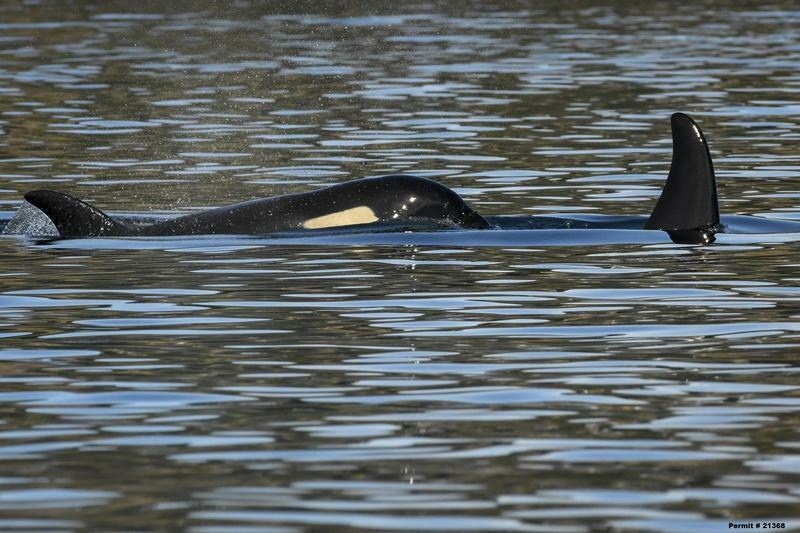 A grieving mother orca has finally let her dead calf go, ending her "tour of grief." An extraordinary effort to feed a sick, young orca got underway Friday morning in the waters west of Bellingham. 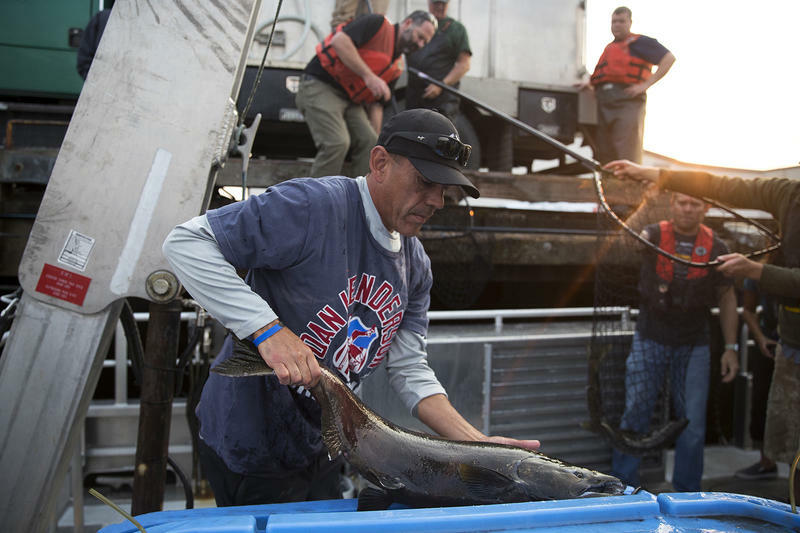 Crews loaded 24 live chinook salmon into tanks aboard King County's Research Vessel SoundGuardian as well as the Lummi Nation police boat at Squalicum Harbor. 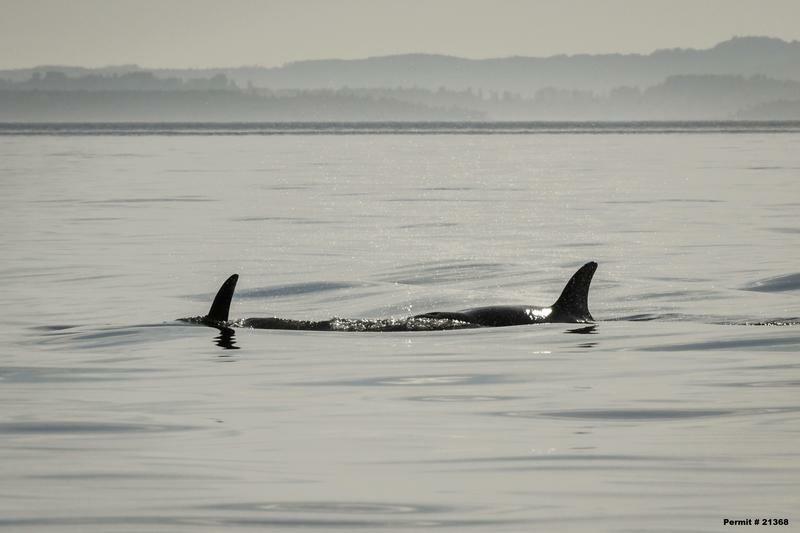 As scientists searched Salish sea waters for the young, emaciated orca known as J50, they spotted her relative, still carrying her dead calf. Helping our relatives. That’s what Darrell Hillaire calls the project to offer salmon to the young whale known as J50. The emaciated, 3 1/2-year-old orca had seemingly gone missing over the weekend, leading some biologists to worry that she may have died. 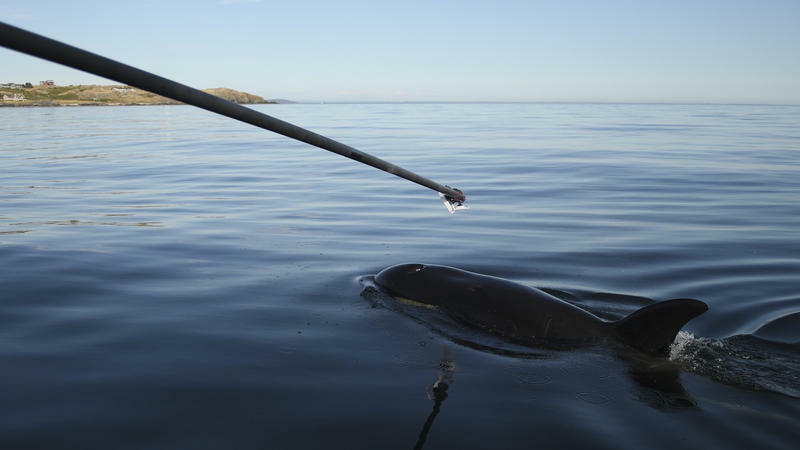 Plans were underway to feed the young whale with live salmon – possibly laced with medicine – or to inject her with antibiotics, in the hopes of saving the youngest orca in this endangered group. 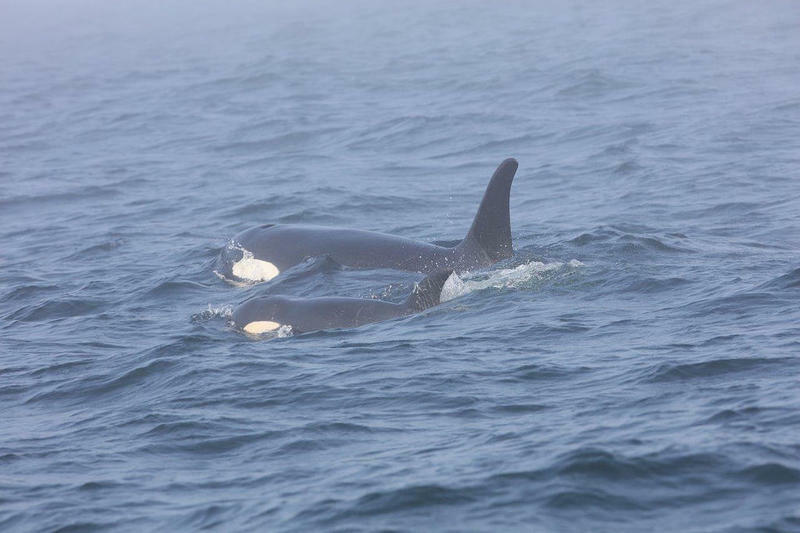 Michael Milstein, a spokesman for NOAA, confirmed that the young orca was found west of Vancouver at the Port Renfrew near the west entrance of the Strait of Juan de Fuca. 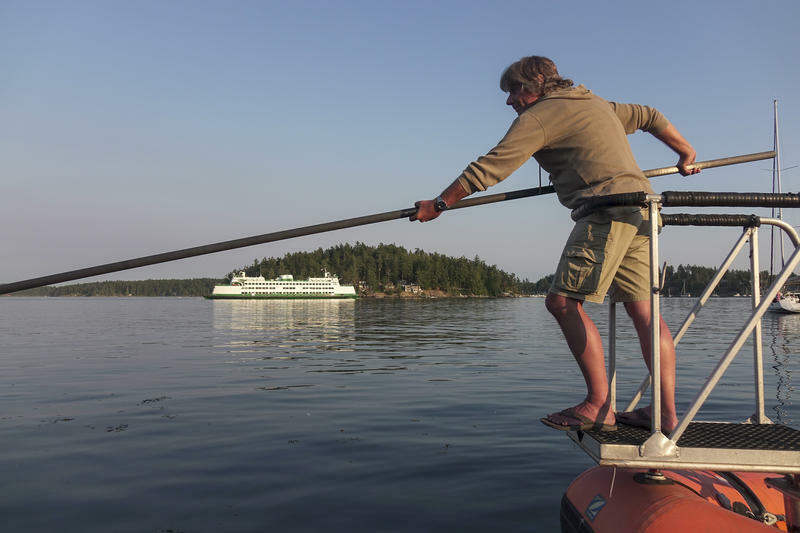 Bill Radke talks to Seattle Times reporter Lynda Mapes and Dr. Deborah Giles, whale research biologist for the University of Washington's Center for Conservation Biology about a new task force led by Washington's Governor Jay Inslee. 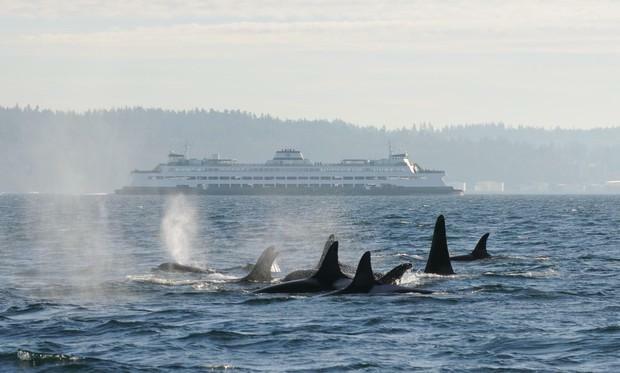 The task force hopes to find a way to save orcas from extinction. 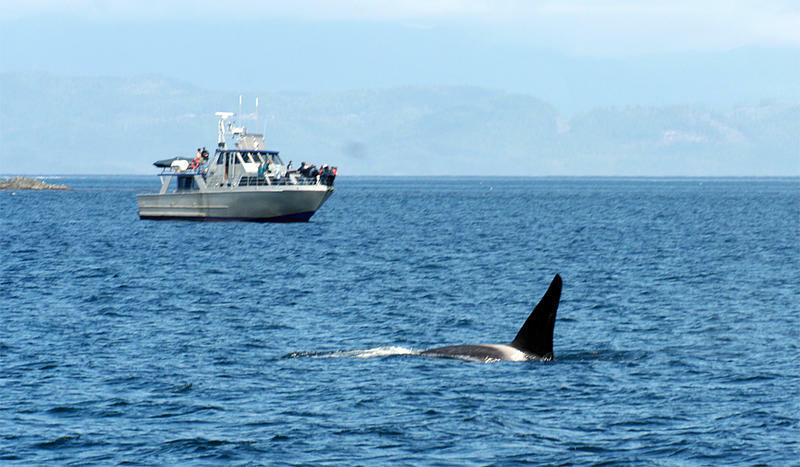 Boat crews were out again on Washington waters Tuesday looking for J50, the starving orca that’s part of the endangered Southern Resident killer whales that frequent the Pacific Northwest. The effort to save a sick, starving orca named J50 is a personal mission for Aaron Hillaire and Malcolm Owings of the Lummi Tribe. 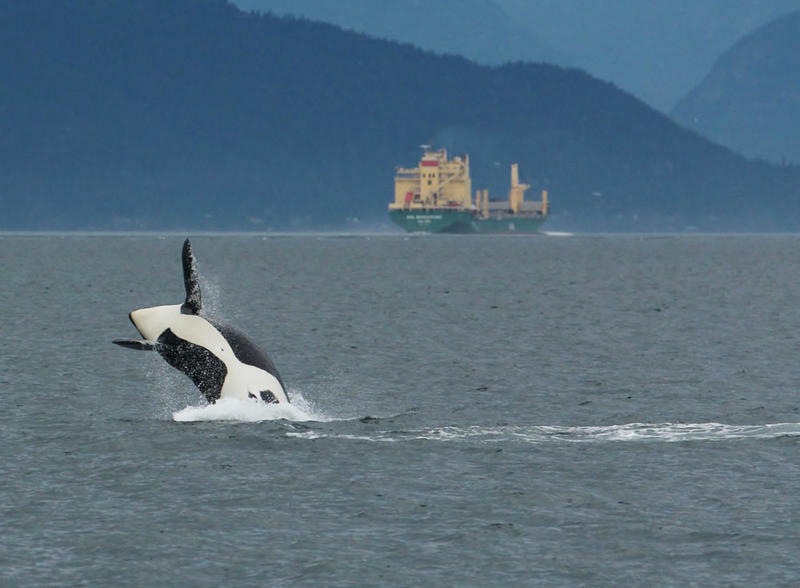 “Hundreds and hundreds of years we’ve been around the orcas and it’s family, really,” Hillaire said. 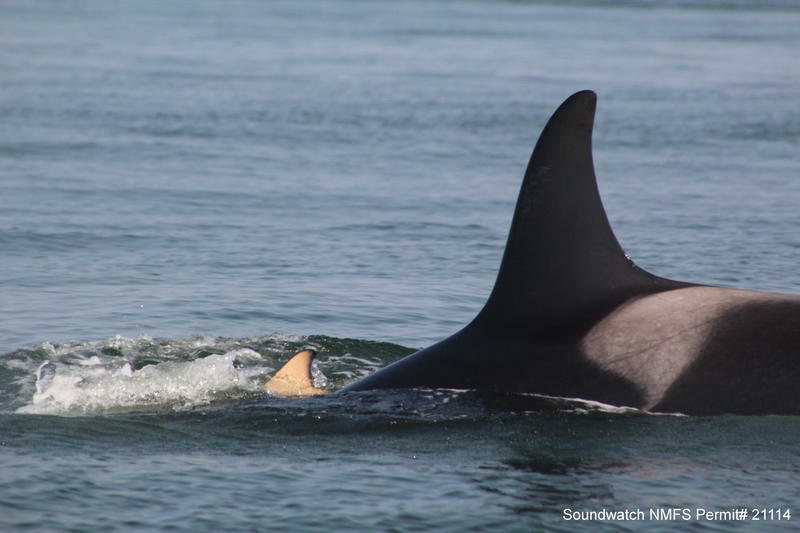 Laura Blackmore of Puget Sound Partnership speaks with KUOW's Kim Malcolm about the task force kicking off on Tuesday to discuss the overall health of the killer whales local to the Washington state and Canadian coast lines, known as J-Pod. An emaciated, 4-year-old Pacific Northwest orca is drawing alarm. 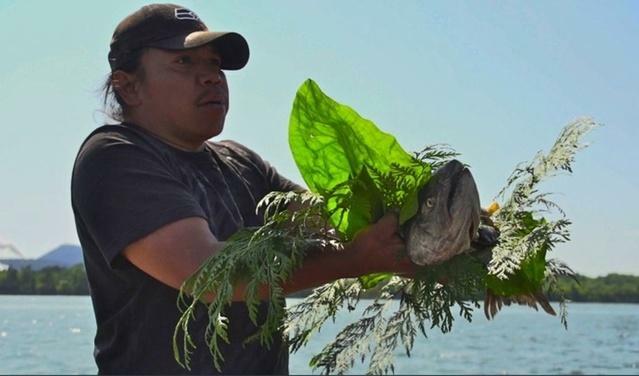 NOAA Fisheries spokesman Michael Milstein said feeding live Chinook salmon to the female orca, possibly laced with medication, is being considered. 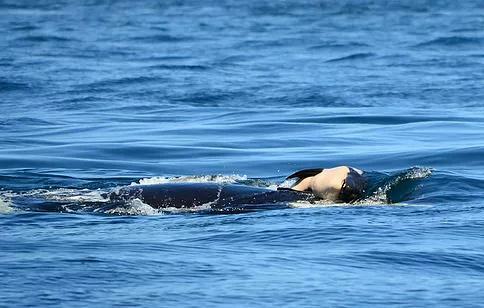 It's now been nine days that a J-pod orca mother has been carrying her dead calf on her head, refusing to let it sink. 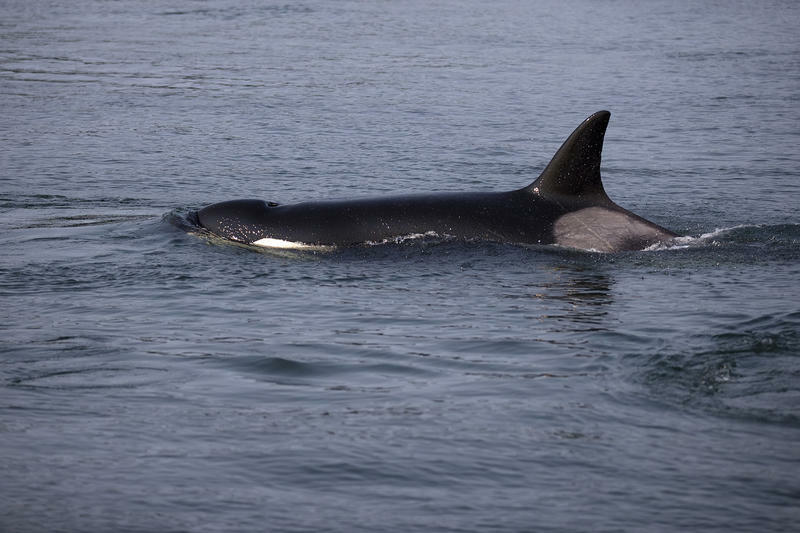 Kim Malcolm talks with Dr. Deborah Giles about how individuals can help with the recovery of southern resident killer whales. Giles is a killer whale biologist with the University of Washington's Center for Conservation Biology. Marine biologist Taylor Shedd has told The Record that the grieving orca mother — known as Tahlequah or J35 — is carrying her dead calf for a ninth day. The baby's body has started to decompose. 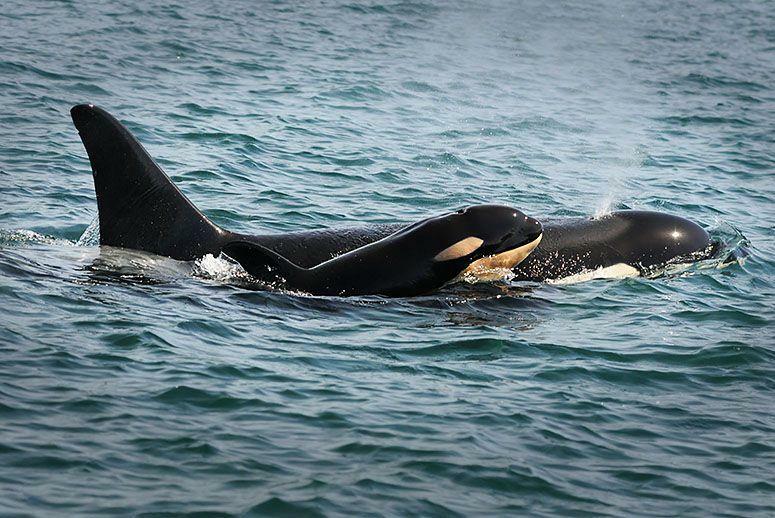 The killer whale delivered her baby on Tuesday last week. Half an hour later, the calf died. 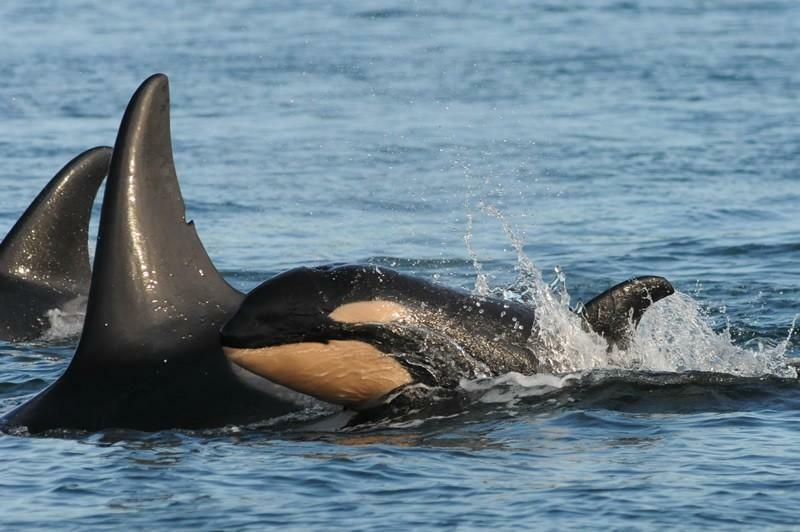 Last Tuesday, a new Orca calf was born to one of Puget Sound’s resident pods. The birth should have been a moment of celebration for the endangered population, but it quickly turned to tragedy when the calf died within a half hour. The call is going out again to the operators and pilots of big ships to slow down in the shared border waters between Washington and British Columbia. 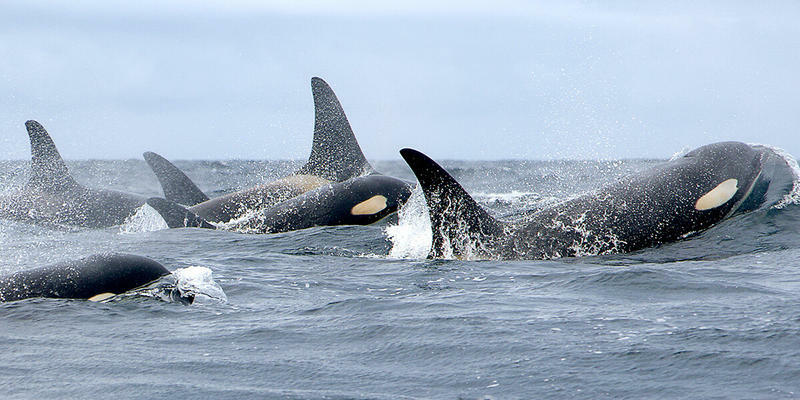 The idea is to reduce underwater noise that could bother endangered killer whales. 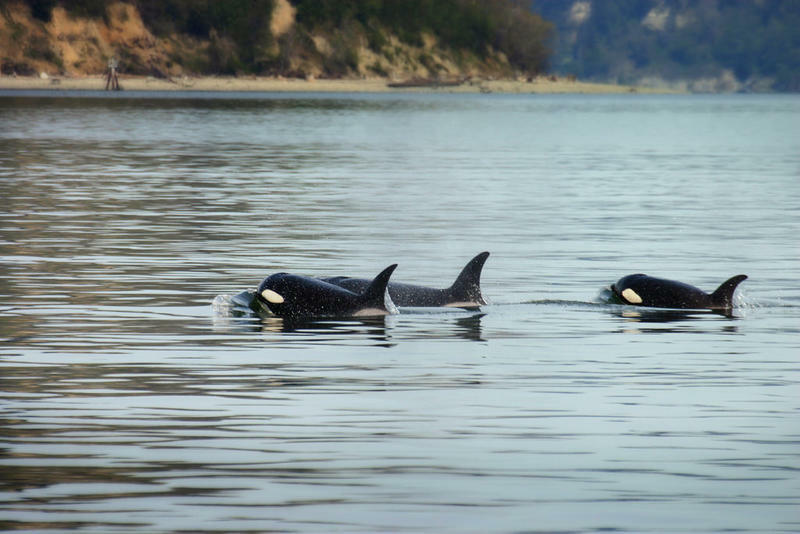 In honor of Orca Awareness Month in Washington state, here are three facts about orcas we didn't know before, courtesy of a talk by Prof. Jason Colby of the University of Victoria. 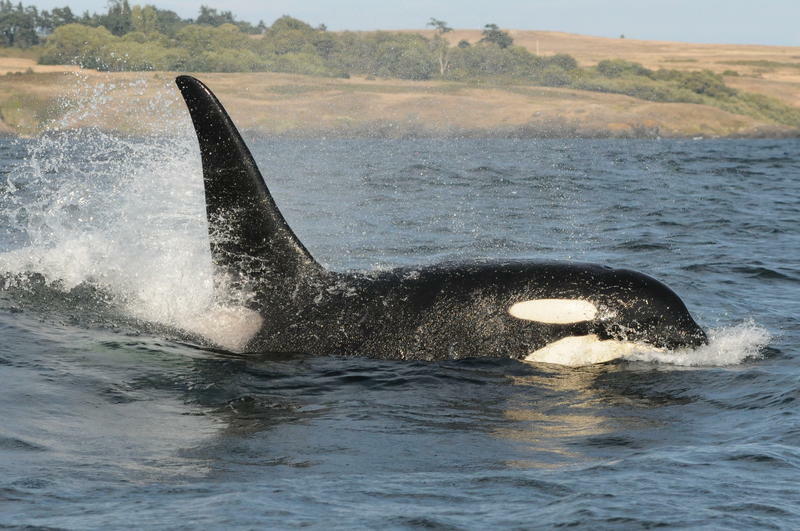 An endangered killer whale has gone missing and is presumed dead, but it's not the only orca in trouble in Washington waters. Eight local orcas have died in just the past two years. Weekend recap: Should you feel bad about going whale watching? Bill Radke talks with our panel about the declining number of orcas in Puget Sound and if we should stop whale watching. We also look at the New York Times investigation into pregnancy discrimination, and why the World Health Organization has added "gaming disorder" to its disease classifications. Tribal leaders on both sides of the border said Canada's purchase of the Trans Mountain pipeline would not weaken their opposition to the pipeline's planned expansion. The project would triple the amount of oil flowing from Alberta tar sands through British Columbia and increase oil tanker traffic through Puget Sound. 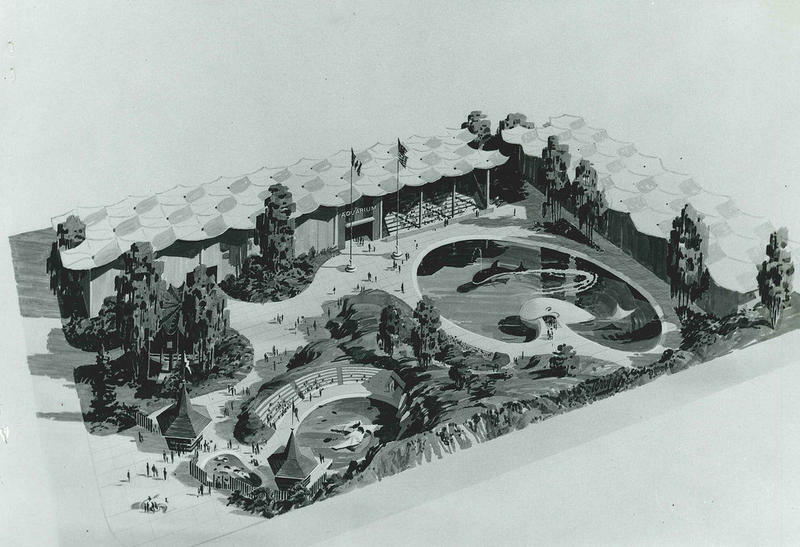 Fifty years ago, Seattle was trying to decide what do with its center attraction in the wake of the World’s Fair. One man came forward with the idea of privately-funded plan marine park. 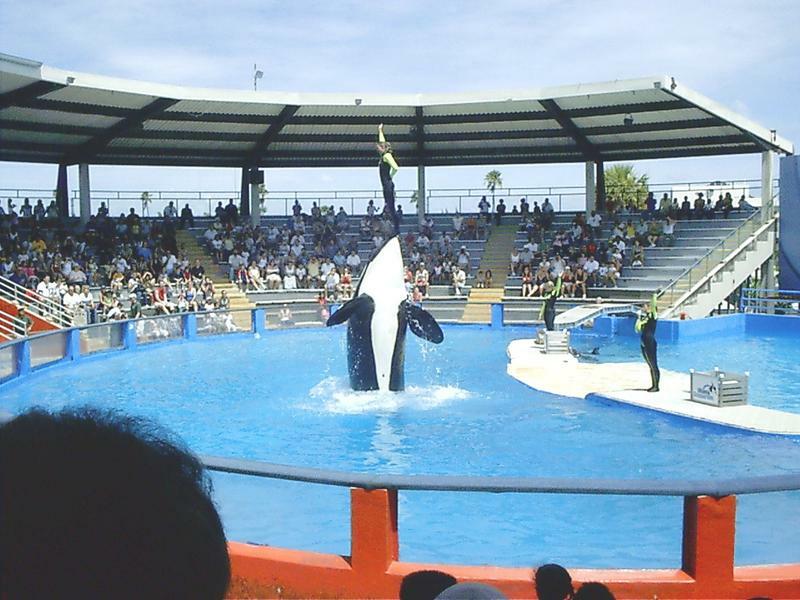 Think SeaWorld at the heart of Seattle – complete with a captive orca to perform shows. At Penn Cove, on the north end of Whidbey Island, gulls and other birds fly overhead, and a muddy beach leads down to the water. It’s quiet today, but, in the late 1960s and early 1970s, this was the place whale catchers came to capture orcas. Researchers at Oregon State University have worked out a way to detect and identify whales long after they move on — just by sampling the water. Why don’t you see people-sized salmon anymore? Washington state officials have proposed a new tack to save the Pacific Northwest's critically endangered orca population. Their idea is to boost salmon hatchery production by 10 to 20 million more fish per year to provide more food for the iconic killer whales. In Olympia, state lawmakers are considering stronger protections for the critically endangered population of resident killer whales. 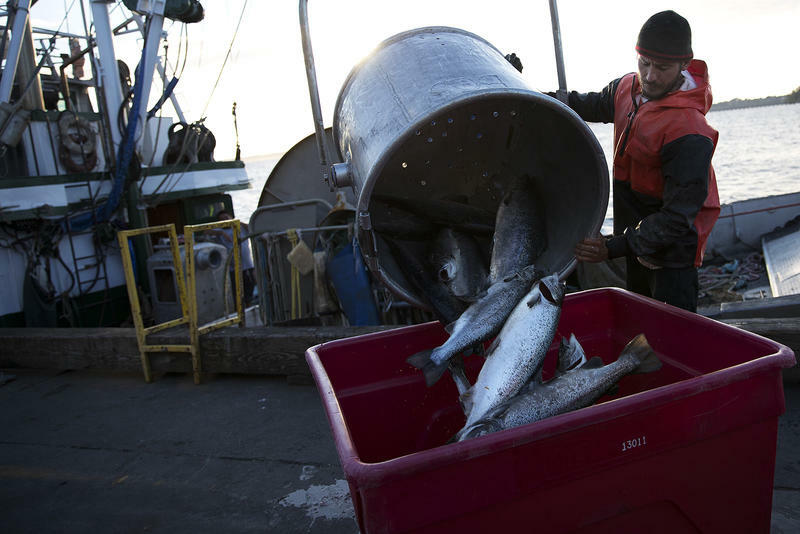 Bill Radke talks to Lynda Mapes, The Seattle Times environment reporter, about Washington's disappearing salmon population and what it says about the health of our coast and Puget Sound.